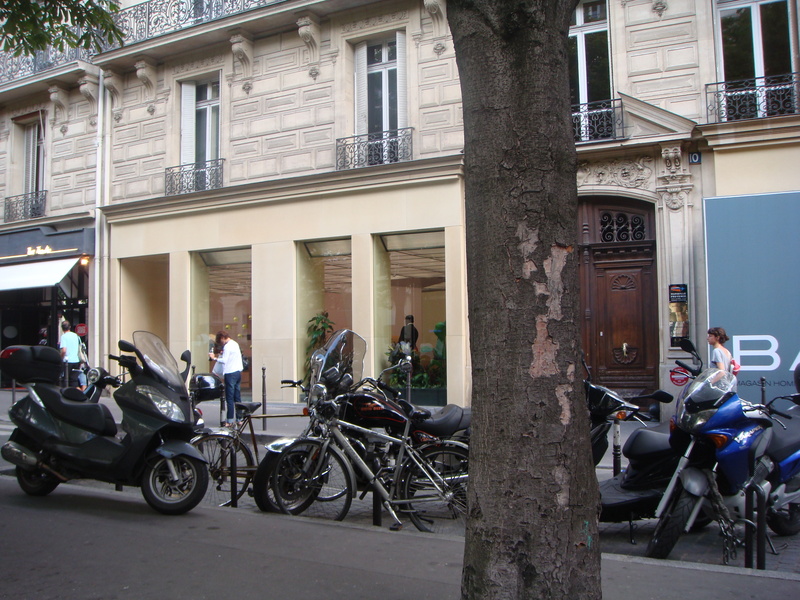 The other day I mentioned that I was going to visit the temple of Balenciaga aka the flagship store in Paris on 10, avenue George V. Well, it was a good thing I copied down the address properly, because I nearly missed it. I nearly thought it was renovating and left, because all I saw was the huge Balenciaga ad next door from a distance. It turns out that the flagship store is indeed opened. It’s just that the only sign that indicates the flagship store is the many Balenciaga bags sitting by the window. Talk about discrete! On a mission I headed straight for the clutches and with the help of the SA went over and over again the drawers that hold the envelop clutches (they don’t like it when you try to go through the drawers yourself!). I’d had my heart set on a beige or grey colored one, but sadly they really didn’t have that many colors. Instead of a battle between which one to get, it was more of a process of elimination and I quickly picked out the color that I liked most out of the lot. This blue storm color is probably the closest to grey I’m going to get. Luckily, I have a lot of blue clothes so I am currently loving it! Determined for something beige, I took a look at the rest of the bags. But alas, the closest it came was a huge beige part time or a chestnut colored covered city. I hear that there are more choices in NYC. The only good thing about getting it in its motherland is that it truly is cheaper than it is anywhere else. With the tax refund, it is at least 13% cheaper. Who knows how much more it will be with the falling euro! But Balenciaga fans beware. You are only allowed 2 bags per person per season. This applies to all Balenciaga stores in Paris (I checked with the counter at Lafayette too). Clearly they are not desperate for business and frankly, you can tell. Even though they were perfectly polite, I’ve never encountered such snobby and condescending SAs before. Not even at Louis Vuitton, Chanel or Hermes, where they have reason to be with the great flood of tourists there all the time. As much as I love my bags, I don’t think I’ll be visiting this flagship store again the next time I come back. It is totally not worth the cab fare. 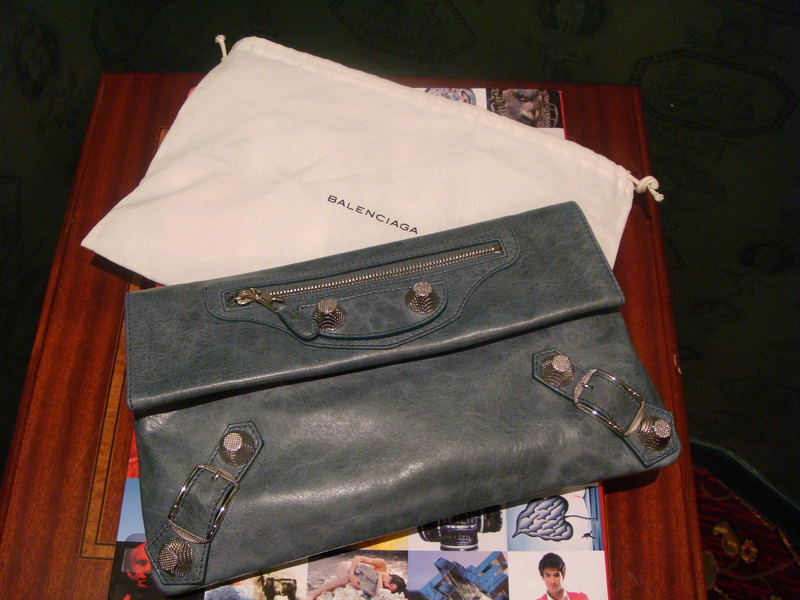 I can get my seasonal dosage of Balenciaga at the Lafayette counter with a lot less attitude. Hey BG! Glad your enjoying your time in France, my country! I understood that you’ve been here before so you must have already visited all the must see places ^^. Anyway if you’re looking for something in particular in Paris I’d be glad to help to you, just let me know! As for the SA, hahaha yes very French this snobby attitude, I do get it a lot (hmmmm Marc Jacobs store was my worst I think!) and quite frankly even in regular stores like Zara! I really don’t know how SA are trained here but honestly if you don’t look like you have a lot of money, or you’re not a tourist then forget about being nice or polite, they are just plain rude. But I think what I hate the most is being ignored, like not even saying ‘Hello’ even though I am a potential customer! A SA at Galleries Lafayette greeted every single customer stopping by, but me. It took her about 10mn to finally say it to me as I was really browsing through the bags because I desesperately needed one! RUDE! Enjoy your stay in Paris BG!